When we first started our homeschooling journey, I was working part time outside of the home. After my son’s first grade year in a private school, I became a stay at home mom, for good. Since my husband is a commercial fisherman, that meant that we didn’t have health insurance anymore on top of being a one income family. So, learning to be a frugal homeschool mom was essential. Over the years I’ve learned a lot about how to shop for homeschool curriculum frugally and finding frugal homeschool resources. We wanted to give our children the best education that we possibly could, but our budget had to be considered. In order to ensure I didn’t break the bank purchasing all of the homeschool curriculum I or the kids wanted, I discovered ways to save money on the homeschool curriculum and resources I used with my kids. 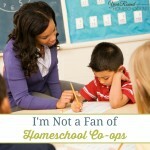 There are many homeschooling publishers and resources out there, too many to count honestly. Over the years I’ve learned that just because a homeschool company is big (or costs the most) doesn’t mean it is the best for my family. Take time to research various homeschool curriculum (those you’ve heard of and those you haven’t) before making an impulse purchase based on a recommendation or by how pretty it looks. Cathy Duffy‘s site is an amazing resource and should be bookmarked on every homeschool mom’s device. If you had asked me several years ago if I would use digital curriculum, the answer would have been no, absolutely not. I love books. There is something about turning pages that just makes me happy. However, I’ve learned to love using digital curriculum in our homeschool. It makes my life a lot easier. There aren’t any books to keep track of or find after they’re lost. I don’t have to figure out where to store them when we’re done with them. My kids can easily pull up their curriculum on their devices and pick up where they left off. Digital curriculum also teaches kids that devices aren’t just used for gaming, after all computers were tools to begin with weren’t they? I’ve been there. A new homeschool year is just a couple weeks away and you still don’t have everything you need. Relax. It is ok. You don’t HAVE to have every single subject on day one of a new homeschool year. Some homeschoolers take on a few subjects at the beginning of the homeschool year and complete them before moving on to the next set of subjects. If you haven’t found the right curriculum for your family, don’t just buy something for now. 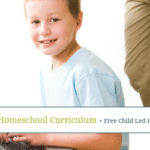 There are countless free and frugal homeschooling resources online. You can even create your own unit studies using literature you have in your library right now! 75% of the physical homeschool curriculum I’ve purchased has been used. I always search for a used option for homeschool curriculum and resources that I need for our homeschool before purchasing it new. Once you’ve decided on what curriculum you want to use in your homeschool start by searching Facebook for a buy/sell/trade group for that specific curriculum. I’ve also known homeschool moms to find used (or new!) curriculum at Goodwill and Salvation Army. Homeschool Classifieds is my favorite online used curriculum shopping site. Ebay is another great option for finding used homeschool curriculum, I picked up an entire homeschool curriculum to test out last summer there for less than half the new price. When my children were younger I often looked for homeschool curriculum that I could use to teach both of them. While I’ve always kept their Math and English studies separate because of their 2 year age difference, I often used the same materials for Science, History, Art, Music, etc. Whether you have kids that are close enough in age to do this or not, you can still buy less and use more. If you have a much older child, the curriculum they use can be used by their younger siblings. If a curriculum’s textbook has the questions in it, purchase just one textbook and then pick up a notebook at the dollar store to have them write the answers to their lessons in. There are many homeschool publishers that have curriculum that spans several ages/grades that you could use too! 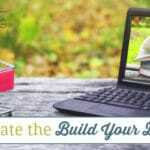 If you’re a curriculum junkie like me, chances are you have purchased homeschool curriculum that remains unused. It may be that it wasn’t the right fit for your homeschool at that time, your child’s interests changed, you expected something more (or less!) or it just wasn’t something you could take on then. The reason it was unused doesn’t matter, just save it. There may come a time when your circumstances change, another child’s interest is piqued or you need that specific homeschool curriculum. I can’t tell you how many times a homeschool curriculum I purchased in the past was pulled out myself or one of my kids a couple years down the road to be used and loved! While every homeschool parent wants to give their children the best education possible, there are ways to ensure that the costs involved in doing so don’t break the bank or budget. Choosing to be a frugal homeschooling mom (or dad!) doesn’t mean you’re taking away from your child’s education. The best homeschool curriculum for your family can be found frugally, I promise. It just takes research, time, patience, persistence and an open mind. What is right for you may not be what you expect, so keep your eyes and your mind open! 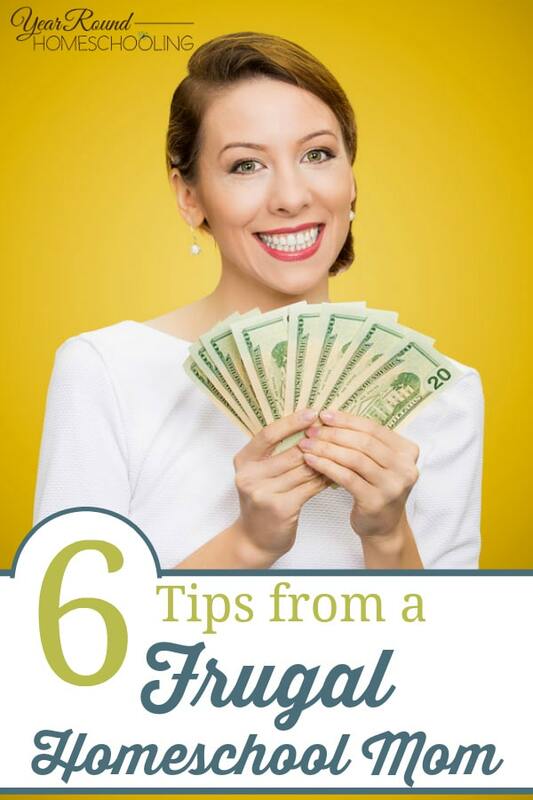 What are your best frugal homeschooling tips?